Can you believe? : FUM retreat: what did we accomplish? FUM retreat: what did we accomplish? The Friends United Meeting General Board's identity retreat concluded yesterday (Wednesday) at lunchtime. I am sure that your prayers were part of our reality during those three days. Thank you. I loved having two of us to facilitate this retreat--Rebecca Mays and me--and that we also had two elders praying with us and providing constant feedback and questions. Our elders were Stuart Mays and Ann Davidson. Having three others as committed as I was to serve by the leadings of the Spirit, I was much less anxious, and much less tempted to use verbal cleverness to cover up insecurity than I might have been otherwise. Rebecca and I are different in many ways--I'm sure that was part of why we were asked to undertake this service--and I hope that our affectionate and intuitive collaboration (if I may say so without permission!) was an encouragement to participants. The title of this post is somewhat misleading. I don't intend to supply an answer to the question. At every point in the retreat, I was immersed in the moment, and can't really even guess what the experience was like for anyone else, never mind assessing its accomplishments. So the title question is directed to the participants, to FUM, to Friends in general, and to the future. Given FUM's cyclical propensity to suffer from eruptions of pent-up tensions, did we get any closer to a more enduring stability, if that is what is even desirable? Tom made a more general point: divisions and realignments rarely seem to have the beneficial effect that was hoped for. (I'd agree but would caution that involuntary and artificial unity is not a viable alternative.) One of the awkward conclusions that I'd draw from a historical perspective is that the Orthodox FUM, by which I mean the Five Years Meeting before the reunifications in Canadian, New England, New York, and Baltimore Yearly Meetings, had almost as much theological wrangling as the more theologically heterogenous post-reunion FUM. The Richmond Declaration is in a sense a dynamic truce between the liberals and evangelicals of their day, with the text reflecting the concerns of both parties, and the subsequent history of the Five Years Meeting/FUM, as I see it, represents a renegotiation of that balance in every generation. The entrance of the united yearly meetings (this is me reflecting on Tom Hamm's essay, not Tom) added the apparent incongruity of FUM encompassing Friends who were not in fact Orthodox, and in some cases not Christian. Before that development, the Bible was sometimes a point of controversy even within traditional Orthodox Quakerism--was it inerrant and infallible, or authoritative in another way, or simply held as superior in disciplinary and devotional value to any other writing?--but everyone "esteemed the Scriptures," and certainly nobody advocated that Friends were not completely inside the Christian fold. 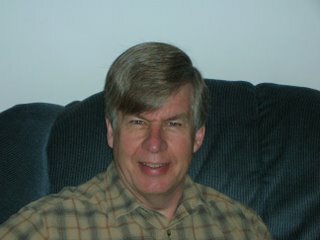 Even the eruption of the fundamentalist/modernist debates in the wider Christian world and the North American Quaker world, resulting in the departure of Oregon Friends from FUM and the formation of Central Yearly Meeting from Holiness-flavored dissidents in Indiana and Western yearly meetings, did not shake that basic consensus. Those who encouraged the reunifications of those four yearly meetings in the late 1940's and 1950's, probably felt that this consensus would continue to govern, at least tacitly. But right from the start, the more doctrinally conscious Orthodox Friends tested this assumption over and over, usually by asking for a confirmation of the Richmond Declaration of Faith, as they had in earlier generations. The pre-reunion debates concerned whether the Declaration was, in a sense, supplementary to the yearly meetings' own expressions, or more in the nature of a united creed. But after the reunifications, some Friends who were now in FUM had no use for the Declaration whatever. Meanwhile, FUM continued to include Friends who held doctrinal unity as a high, even fundamental, value. Therefore, a polarization that had already existed within the Five Years Meeting was sharpened. Doctrinal tensions were not the only ones plaguing FUM over the years; and after Tom's presentation, we took the time to list some of them--including temperamental, cultural, economic, and regional differences; different understandings of God's imminence and transcendance; different approaches to certainty and ambiguity; personality clashes; false dichotomies; dis-ease with authority, and dis-ease with one's own sexuality. We spent considerable time discussing, modeling, and (in groups of three) practicing active listening. In those groups, we asked Friends to tell each other how Truth was prospering in themselves and their communities; and, later, reflections on the group exercises of dreams, blockages, and first steps; and yet later, on personal commitments that they might be ready to make. However, Rebecca Mays and I were aware that those with the most doubt about FUM's viability distrusted exercises that simply involved individuals. Even the most truculent doubter would agree that nice people come to FUM Board meetings. (One Friend came to me in a break and said that Rebecca and I were trying to "seduce" Friends to remain in FUM.) But the last morning of the retreat was devoted to challenging the Board to replicate the integrity of personal communication, experienced the evening before, on the organizational level. What new step of integrity and transparency would be required in the relationships of yearly meeting to yearly meeting? What new level of such integrity would be desired for those yearly meetings to make a credible decision of staying together in one structure or not staying together? What direct, adult conversation on the yearly meeting level could replace the familiar but unaccountable listing of FUM's flaws, or the flaws of liberals/evangelicals/(supply label here), in forums or situations where no minute was being offered for testing, no Matthew 18 process of ethical confrontation was taking place? I offered a sketch of an incomplete bridge between two camps. The bridge doesn't represent FUM, but it represents genuine adult communication between yearly meetings with apparently different core beliefs. Occasionally dedicated Friends leap between the two sides, and the SCUBA diver represents the lovely subversives who ignore structures and communicate on a purely personal basis between the camps via blogs, visitation, and other means. The ground underneath the river represents the common faith in Jesus Christ that was evident at the retreat and that has not been in question in FUM at least since the 1992 clearness minute and the 1993 purpose statement. (I included the circles and X's in the retreat diagram but didn't explain their meaning: they are the weapons of mass destruction, the ill will or heresies that some on each side are sure are somewhere in the other camp.) What would it take to complete that span, to make a commitment to direct communication and ethically-conducted conflict? each yearly meeting needs to engage with the FUM purpose statement; is the yearly meeting ready to make a commitment to that purpose statement (on its behalf and on behalf of its FUM appointees)? if it is right to expect others in our fellowship of yearly meetings to deal directly with the FUM purpose statement, and if those others do make a commitment, can we then let go of the need to require affirmation of other texts? we need to know more about how FUM/yearly meeting communication works among all our various yearly meetings, and how yearly meetings communicate internally about FUM, and how all these lines of communication could be improved. Do you (does your yearly meeting) truly want to be on board with FUM, and by what understandings? Can we still INVITE Friends into the joyous work of healing & proclamation, in fellowship with Jesus? A few more words about the tone of the retreat. There were no cathartic scenes or big dramatic moments, no hugfests or walkouts; if such were desired, some were certainly disappointed. Much love was evident, but Friends at various times were clearly at varying levels of engagement and investment. Most of all I appreciated the willingness of Friends to work hard. We worked deliberately and quietly to exercise habits of historical honesty, personal communication, and inter-organizational integrity, and to that hard and worthwhile work most, perhaps all, were willing to apply themselves diligently. I pray that the fruits of that work will be harvested with equal diligence. PS no. 1: "The elephants in the room." The phrase "elephants in the room"--important conflicts that seem to be tacitly avoided at FUM meetings--came up several times at the retreat. At times the "elephant in the room" at those meetings seemed to be disagreements around sexuality; at times it was the authority of the Bible. Another awkward reality: dysfunctions at the yearly meeting level--particularly the fact that pro- and anti-FUM feelings were often associated with specific people, such as prominent pastors who were not above pressuring the yearly meeting to come up with the right approach. Again, the cleanest approach seemed to be to continue building the bridge of Gospel order--asking people to go on the record, in business-meeting settings, with specific recommendations for addressing the perceived problem and moving forward--exactly the same process that would be used for a proposed new initiative in mission and service programming. Toward the end of the bridge discussion, I said to the retreat that it seemed to me that accountability was part of the bridge's gap. My question: Wouldn't an organizational friendship be more sustainable if that friendship included accountability? My hypothetical example: those who believe that all policies and leadings should be measured against the Bible might ask for some agreement from other yearly meetings that, together, we would expect this kind of accountability from each other. This may be the gift brought by those yearly meetings whose cultures are more tightly oriented around biblical authority--constantly holding up a biblical mirror as part of the mutual accountability of being in relationship. (Not that biblical tests are unknown in liberal yearly meetings!) On the other hand, those whose discernment is based less on the Bible, or who grant more latitude in applying biblical discernment, may be just the ones to challenge the biblical-authority folks concerning whether their practice matches their profession. Is biblical authority only invoked when convenient, or is it applied consistently? I think the number of elephants would go way down if our organizational friendships included some Gospel order backbone. PS no. 2: That diligence I mentioned earlier will have been made more convenient by the care with which Rachel Stacy of Baltimore Yearly Meeting recorded the ideas and post-it lists we generated throughout the retreat. Thank you! In the General Board business meeting that followed the retreat, I was grateful to hear that the Friends United Meeting Executive Committee had agreed to express the blessing of FUM to Judy's and my service in Russia; meaning specifically that we were free to ask for financial support among the meetings of FUM; that program committees in FUM were free to ask us to present programming about our service; and that we are to report annually to FUM. Righteous links: In the Barclay Press Daily Journal, Sheila Hoyer has written several helpful posts on the theme of fear and freedom. Example. ~~~ A recent Quaker Life included a good article by Keith Huffman on sacramental living. ~~~ "The Iraq war is lost. Of course, neither the President nor the war's intellectual architects are prepared to admit this. Nonetheless, the specter of defeat shapes their thinking in telling ways." Read more of this important article on the Tomdispatch site. I'm inclined to challenge both the words "war" and "lost"--I'm reluctant to confer even the dubious legitimacy of the word "war" on our unconstitutional and wicked Iraq intervention, and without that legitimacy, the word "lost" does not fit, except for the lives and futures lost on all sides. I do not support disaffiliation from FUM by this Yearly Meeting (NEYM), but seeking unity might be a bit easier if you adopted an approach of Gospel Order and cease from saying what we "must" do, or "need" to do, with FUM. Can the Board submit to the leadings of the RSOF as a whole? Funny that you mentioned "Gospel order," Patrick. Before reading your comment, I added a PS about gospel order and accountability. However, the Board cannot submit to anyone other than its member yearly meetings. There's actually no "RSOF" as a gathered body; the RSOF as a social reality includes fundamentalists and Wiccans, who have no commitment to each other but the commonality of being loved by their Creator, and would probably never acknowledge each other's authority. And my whole point is that, since FUM has no power OVER member yearly meetings, those yearly meetings must begin to do the hard work of actually saying, in concrete terms, what they want, and do the work of active listening to ensure that they know they've been heard. That doesn't ONLY include the intervisitation so badly needed and also so beloved of advocates of "celebrating our diversity." It includes the hard work of winnowing out genuine value-based conflict from cultural irritations, and then addressing that conflict in adult transactions that are on the record, and then making promises and keeping them. How else will we avoid being back in the same place in another fifteen years? Perhaps no other retreat participant would agree with me, but I'm more and more convinced that FUM itself isn't the issue at all. It's just a mechanism for yearly meetings to have--or avoid having--ordered and accountable relationships with each other in the service of shared values, goals, and/or visions. And the General Board reaffirmed what, at least, what they share: the purpose statement of FUM. If we can substitute relationship-building on the basis of transparent criteria and honest interactions for the convenient alienation patterns of the past, and continue to move forward programmatically based on that purpose statement, then FUM has a chance of a useful future. PS: What is wrong with saying what you must do or need to do? You in fact don't need to do anything, but you can't expect to be in relationship with another yearly meeting if you don't exchange honest and clear information about what your dearest core values and imperatives are. Of course, a lot depends on attitude--if the "must" is delivered with anger or arrogance, all parties are at a disadvantage. I would like to think this wouldn't happen. Thank you for your faithful service and your report. It sounds like it was a truly blessed time. I am sorry that I was unable to attend but I did not have the vacation time available for another midweek outing. I am find myself quite encouraged by your report. Sounds like you all have your work cut out for you. However, I am sure with folks like yourself working toward listening to the Spirit FUM will indeed be blessed. Know, Friend Johan, that FUM is in my prayers. I'm grateful for all these comments and commitments. Thank you for your report and your faithful service. I was inspired and awe-struck when reading about your image of bridge building. The first plenary address at PYM was based on the idea/dream of bridge building within the RSoF. Again, here is another example that God is moving us all in the same direction - whether we are using different language or have a different belief basis or not. What a wonderful thing that is! Blessings, dear Friend. Thank you for your faith-ful-ness. Your service to the RSoF is much-needed and your love-based commitment is very apparent. Thank you so much, Erin! And best wishes at the Yearly Meeting. If you happen to run into someone who knows me (most likely those involved with Russia or with Quaker blogging), please say hi. I have only really come to be aware of the dialogue in blogging since the NWYM sessions just past where I met, however briefly, you and Cherice and Erin and was impressed by the spirit clearly working in you (why doesn't the English language have a clear "you plural" anymore?) I am pleased to find this means of catching up and continuing dialogue on "convergence" especially, and encouragements for my own tenuous fin flapping as a "scuba" connection. I have a question or two to raise myself as soon as I have done some catching up to see whether they have been addressed in dialogue yet. At the moment I want to say that you have made a revolutionary suggestion in your ps on accountability..... congratulations, I forsee you being in trouble with both "sides" if you press the issue.
. . . once again fulfilling Jesus' promise that we'd be "... absurdly happy, entirely fearless, and always in trouble."